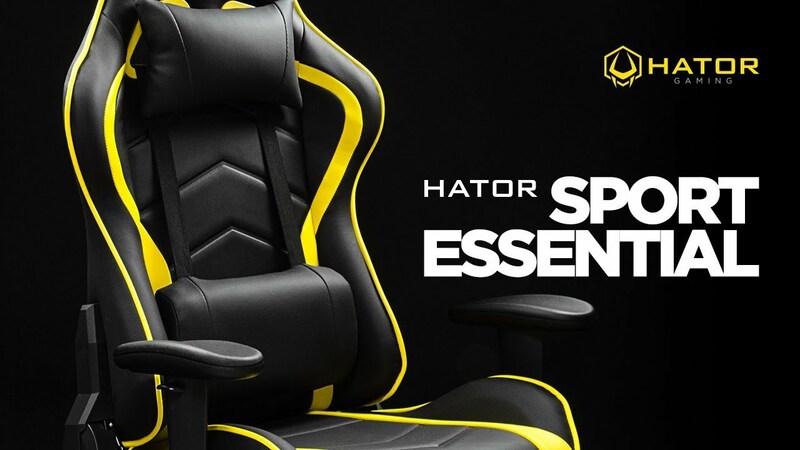 In the silhouette of the Hator Sport Essential chair easy to guess the outlines of sports car seats. Sensible lateral support, resilient seat, the ability to accurately adjust the chair for yourself with the help of complete pillows and available adjustments – all this makes the Sport model an excellent choice for installation within your playing place. The design is inspired by the shape of sports cars. Fully painted frame ensures no corrosion and durability of operation. We are using 50 kg/m³ high-density foam in chairs. It helps not only to get the optimum seating hardness of the fit, but also providing chair’s longlife and resisting to seat’s deformation. Strengthened 5-star base from the metal will be great mainstay for the whole chair. Large 60 mm hard polyurethane’s casters. Adjustable backrest with 170 degrees max angle will bring you a comfy rest after the long gaming session.